Are you looking for Grade 446 Stainless Steel Pipes? We at Aspirinox Alloys Inc. is your most trusted and supplier of high-quality Stainless Steel 446 Pipes which find application across diverse sectors like oil and gas, refining, pipeline, and chemical sectors. We have decades of experience in providing SS 446 Pipes / UNS S44600 Pipes to our global customers. 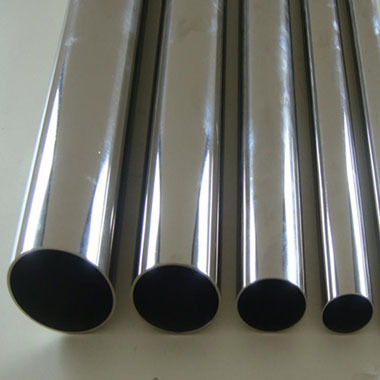 We offer qualitative SS 446 Pipes are having high heat resistant alloys which used between 1500 to 2500 degrees F.
The Grade 446 Stainless Steel is a ferritic, non-heat treatable stainless steel that provides good resistance to high-temperature oxidation and corrosion. Our Stainless Steel 446 also has excellent resistance to oil-ash corrosion and resistance to Molton copper, lead and tin. We stock and distribute a large and diverse range of grade 446 Stainless Steel Pipes in various shapes SS 446 Round Pipes, square, rectangular, hollow, oval and many more. Available in size range from 1/2″ NB to 24″ NB with Plain End, Beveled End, Treaded finished end. We are pride ourselves on serving customers with on-time deliveries of SS 446 Cold Drawn Pipes from our large inventory. Contact us today; we have quality inventory in the large quality to complete our client’s requirements. Specifications for 446 Stainless Steel Seamless and Welded Pipes. If any specification is not mentioned here, please use the contact button for quick quote. Contact us or click on the below button to request a latest 446 stainless steel pipes price list. Aspirinox Alloys INC is dedicated to providing the world-class SS 446 pipes that cater all your demands at very competitive rates.